A starting point for taking on the responsibility of the work of Christian apologetics is recognizing the role that living out a disciplined Christian life plays. Even a brief examination of the Scriptures reveals this striking imperative: one may not divorce the content of apologetics from the character of the apologist. Apologetics derives from the Greek word apologia, "to give an answer." 1 Peter 3:15 gives us the defining statement: "But in your hearts set apart Christ as Lord. Always be prepared to give an answer (apologia) to everyone who asks you to give the reason for the hope that you have. But do this with gentleness and respect." I have always found this to be such a fascinating verse because the apostle Peter, under the inspiration of the Holy Spirit, knew the hazards and the risks of being an answer-bearer to the sincere questions that people would pose of the gospel. Indeed, when one contrasts the answers of Jesus to any of his detractors, it is not hard to see that their resistance is not of the mind but rather of the heart. Furthermore, I have little doubt that the single greatest obstacle to the impact of the gospel has not been its inability to provide answers, but the failure on our part to live it out. The Irish evangelist Gypsy Smith once said, "There are five Gospels: Matthew Mark, Luke, John, and the Christian, and some people will never read the first four." In other words, apologetics is often first seen before it is heard. For that very reason the Scriptures give us a clear picture of the apologetic Christian: one who has first set apart Christ in his or her heart as Lord, and then responds with answers to the questioner with gentleness and respect. Therefore, one must not overlook the stark reality that the way one's life is lived out will determine the impact. There are few obstacles to faith as serious as expounding the unlived life. Too many simply see the quality of one's life and firmly believe that it is all theory, bearing no supernatural component. I remember well in the early days of my Christian faith talking to a Hindu. He was questioning the strident claims of the followers of Christ as being something supernatural. He absolutely insisted "conversion was nothing more than a decision to lead a more ethical life and that in most cases it was not any different to those claims of other 'ethical' religions." So far, his argument was not anything new. But then he said something that I have never forgotten, and often reflect upon: "If this conversion is truly supernatural, why is it not more evident in the lives of so many Christians that I know?" His question is a troublesome one. After all, no Buddhist claims a supernatural life but frequently lives a more consistent one. The same pertains to many of other faiths. Yet, how often the so-called Christian, even while proclaiming some of the loftiest truths one could ever express, lives a life bereft of that beauty and character. This call to a life reflecting the person of Christ is the ultimate calling upon the apologist. The skeptic is not slow to notice when there is a disparity, and because of that, may question the whole gospel in its supernatural claim. Yet when they are met with gentleness and respect, we will help meet the deepest longings of the heart and mind, and they will find where true discovery lies. Let us live so accordingly. 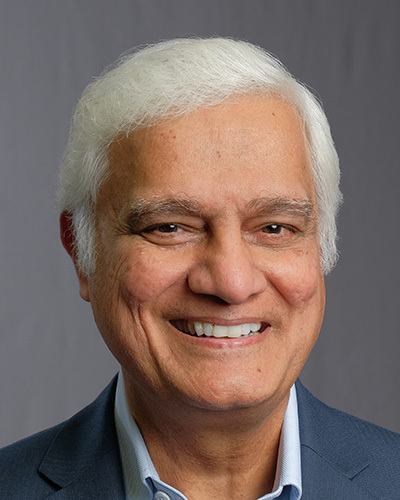 Ravi Zacharias is founder and chairman of the board of Ravi Zacharias International Ministries.